This is among the most buzzed about openings in recent years—and with good reason. New Punjab Club was last year’s recipient of the Readers’ Choice award for Best New Restaurant and, under chef Palash Mitra’s guidance, has not only avoided the sophomore slump but managed to elevate its cooking, service and swagger to even greater heights. Star dishes have remained excellent, from the samosa chaat (smashed samosas) to meats cooked in the searing tandoor (we especially loved the machli, a crispy line-caught cobia; and the scene-stealing masalewali champ, lamb chops that are equally smoky and hearty, roasted to a perfect medium-rare). The majority of dishes lean on the spicy side, so be prepared to take the heat (a second cocktail from their gin and tonic trolley might help). 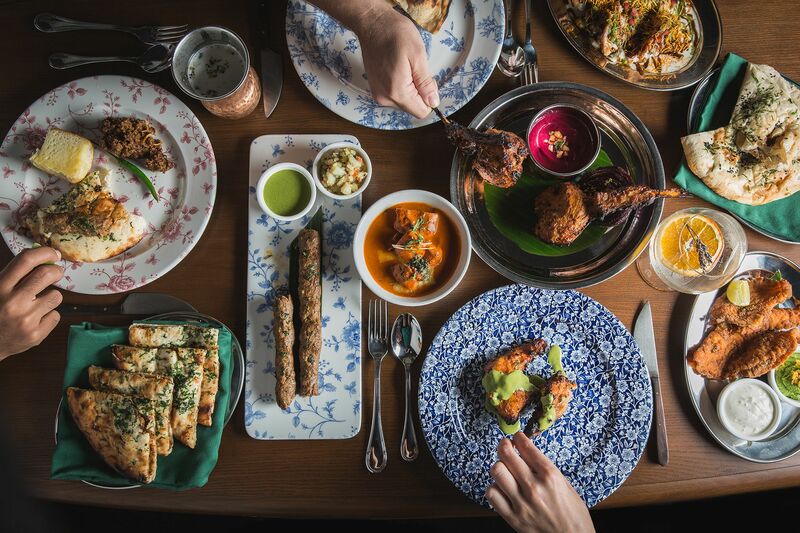 But it doesn’t stop there; the expertly-seasoned tandoori gobhi (cauliflower), mughal room makhani (butter chicken) and the almost-sinful sticky toffee pudding deserve pride of place on the table, as do some well-curated wines and cocktails from their gin and tonic trolley. Icing on the cake? The artworks and wood trimmings-adorned décor that oozes a post-colonial Punjabi sophistication, plus the unrivalled snappy, exuberant service that keep diners returning for more. The majority of dishes lean on the spicy side, so be prepared to take the heat (although a second cocktail from their gin and tonic trolley might help).